KANSAS CITY — In 2019, Hallmark is giving consumers even more ways to emotionally connect with the people in their lives and show how much they care. 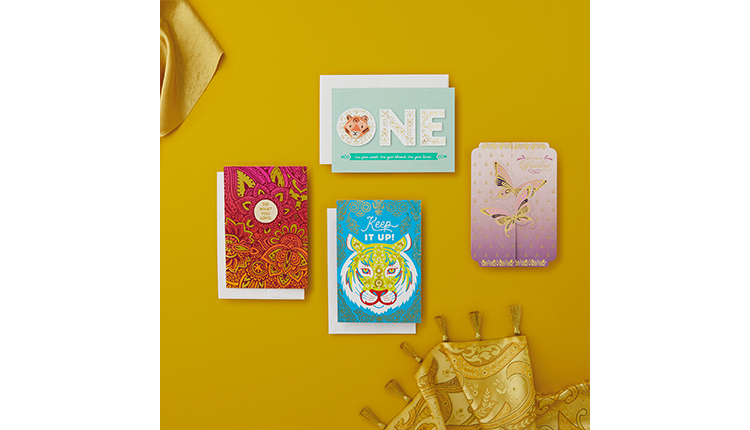 With beautiful new card lines to reach a fast-growing consumer segment, new gift wrap that is more versatile and easier-than-ever to use, and an expansion of a highly successful new product line, in 2019 Hallmark is focused on bringing people together and putting more care into the world. 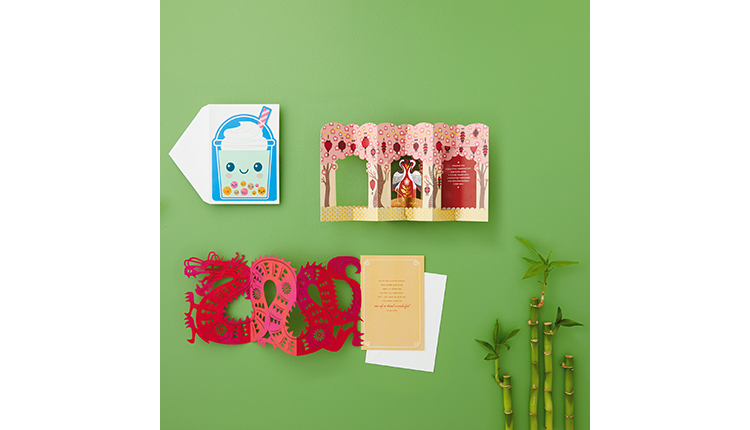 In February, Hallmark is launching two all-new card lines: Eight Bamboo and Golden Thread. These new card lines reflect the beauty and symbolism of Chinese and Indian cultures respectively, and lean into critical insights from the Pew Research Center. Asians are the fastest growing multicultural segment in the United States and Canada, growing 72 percent from 11.9 million to 20.5 million between 2000 to 2015. Honoring each distinct heritage and blending it with inspirations of modern culture, Eight Bamboo and Golden Thread will help Chinese and Indian consumers meaningfully connect with their loved ones during key holidays such as Lunar New Year and Diwali, and culturally significant moments such as Baby’s 100th day and 1st birthday. The cards feature beautiful and premium designs with embellishments such as glitter, gems and cut-outs that showcase an elevated level of craftsmanship. 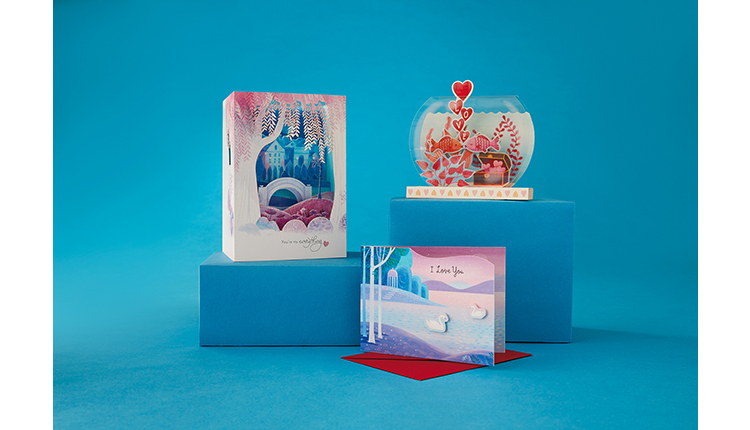 Coming off a successful launch during the 2018 holiday season, Hallmark is expanding the Paper Wonder product line and offering more opportunities for consumers to give the intricate paper craft cards. Paper Wonder cards and gift wrap are available for Valentine’s Day in a variety of formats. Paper Wonder is also the focus on the Valentine’s Day national marketing campaign. In addition to key seasons, the product line also includes greeting cards for everyday occasions such as birthday, wedding and anniversary. Paper Wonder represents Hallmark’s latest paper craft innovation. Consumers, especially younger generations, increasingly associate paper with artistry, collectability and luxury and this innovative product line is in response to those consumer insights. Each greeting card comes to life through clever folds, surprising pops and artistic details that reveal an intricate scene. The Hallmark Trends Studio is committed to following the latest and upcoming trends globally. And, one of these trends is the significance of paper. In today’s digital world, the tactile experience of selecting a card, feeling the materials and textures, writing a heartfelt message and giving the card to a loved one makes the entire exchange more meaningful. That is why the expansion of Paper Wonder and continued investment in Hallmark Signature, the fastest growing premium greeting card brand, are important products for Hallmark this year. In 2019, it is easier than ever to wrap a gift with new premium solid gift bags and gift boxes. For the first time ever, Hallmark Signature is introducing solid colored bags with the same high quality materials and embellishments that consumers have come to expect from us. Featuring gold metal handles and gold foil accents, these bags are easy to mix and match with any Hallmark Signature gift accessory such as premium tissue paper or gift tags to create a customized look. The solid color makes it extremely versatile so a bag can be used and re-used for a birthday, wedding, or anniversary gift. 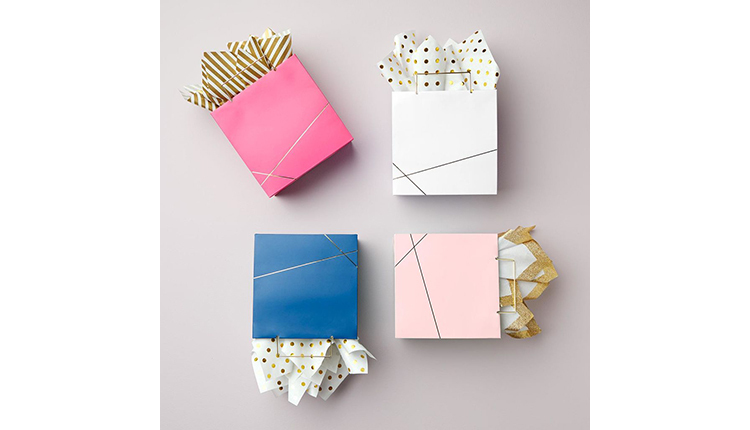 With demand growing for gift boxes, Hallmark is offering solid colored gift boxes that come complete with a box, tissue paper and a ribbon. This all-in-one package makes the wrapping process quick and easy, but allows the consumer to present a beautiful gift that shows just how much they care for the recipient.